As we all know, oxygen is essential for life. It makes up about 20% of the air we breathe, depending on where we live. It is important when discussing skincare treatments to differentiate between oxygen entering the body through respiration versus the benefits of topically applied oxygen. When applied in too large amounts to the skin, oxygen can have a detrimental effect and produce free radicals. At SkinSense, however, we use a controlled and measured delivery system that enhances penetration without forming free radicals. This solid state oxygen treatment uses no hydrogen peroxide or gas wands and all the activity is generated by enzyme action which suits a wide variety of skin conditions. Stimulation of cellular activity which reduces the appearance of fine lines by increasing metabolic function. Reduction of redness and bacterial activity associated with Rosacea. Leaves the skin calm and even. Soothes inflamed skin and acne. 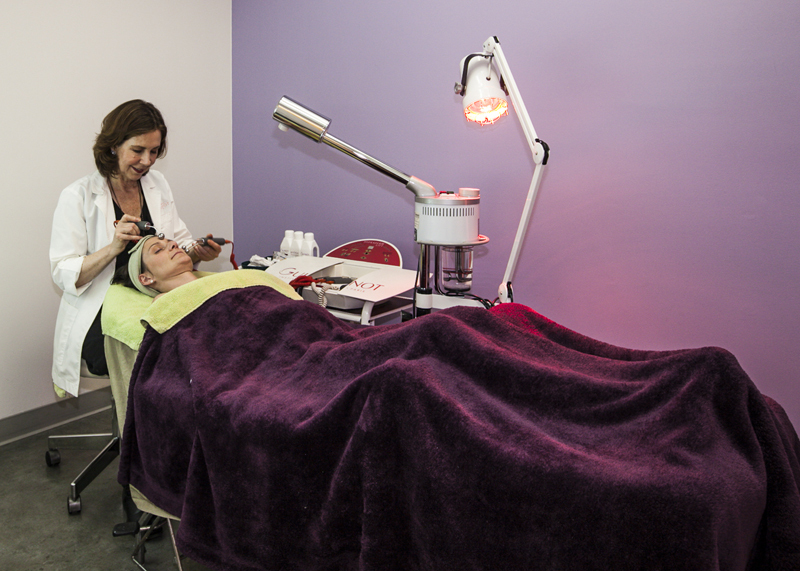 Provides a calming follow-up treatment after laser, acid peels and microdermabrasion. Increases the absorption of active ingredients applied after treatment. Improves the appearance of scarring and lightens sun damage. Tightens the skin surface and leaves the skin glowing and refreshed. Oxygen facials can be performed as regularly as once a week, but the results are evident after just one treatment. In other words, oxygen facials are the equivalent to a brisk mountain walk in clean, fresh air. Living in Los Angeles that provides all of us a welcome opportunity to have a continually healthy and radiant complexion.